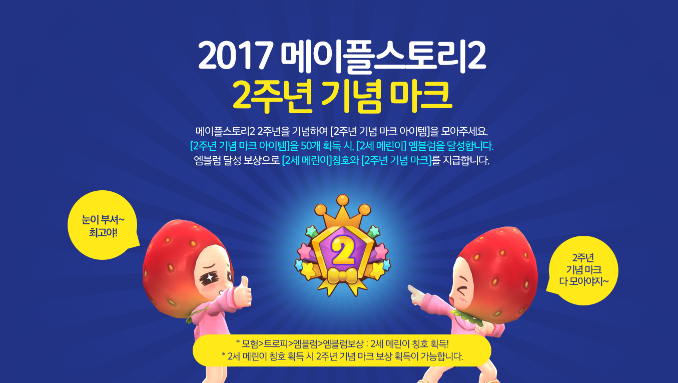 Collect the second anniversary coins and enjoy your festival! 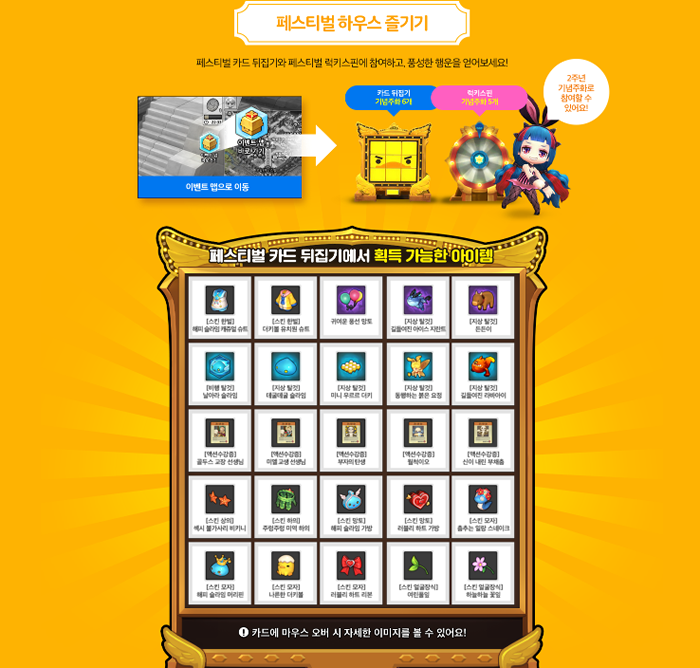 To celebrate the 2nd anniversary of MapleStory 2, please collect the [2nd Anniversary Mark Item]. [2nd Anniversary Mark Item] of the acquisition of 50 items, [2nd Anniversary Merin] to achieve the emblem. As a reward for the achievement of the emblem, [2nd Anniversary Merin] title and [2nd Anniversary Mark] will be paid. Get connected every day! 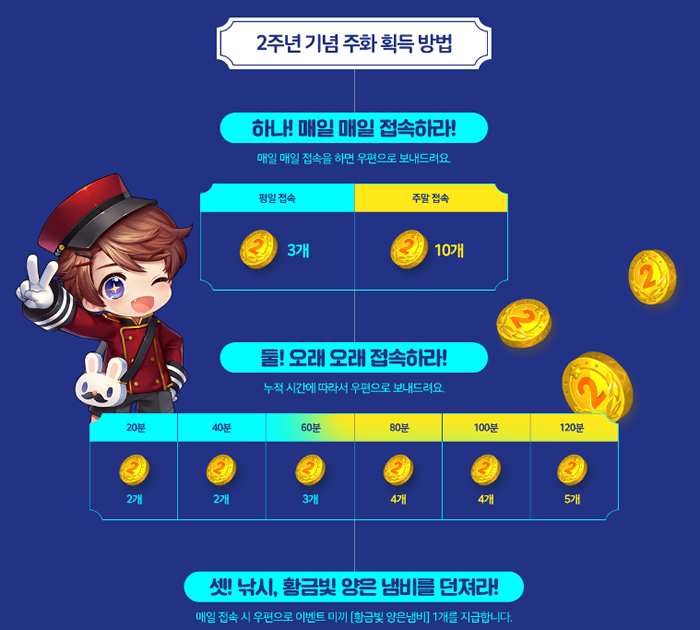 Reward and connect for a long time! Rewards are paid once per account by mail. If you are still connected at the time the date changes, you can redeem the channel through the channel move or reconnect. The cumulative play time is reset at 12:00 every night. Second anniversary coins can be moved through the account through the vaults of major towns. The 2nd anniversary coin will be available until Thursday, July 27th. If you do not select all three cards in the Festival Card Flip and close the Flip Cards window, the Flip Cards board will be initialized. In the flip of a festival card, the second anniversary coin is consumed six each time you choose three cards. Items acquired by the event are not transactionable. Mail is sent when you are logged in as character level 10 or higher in your account, and your mail will be automatically deleted after 30 days with the attached items.